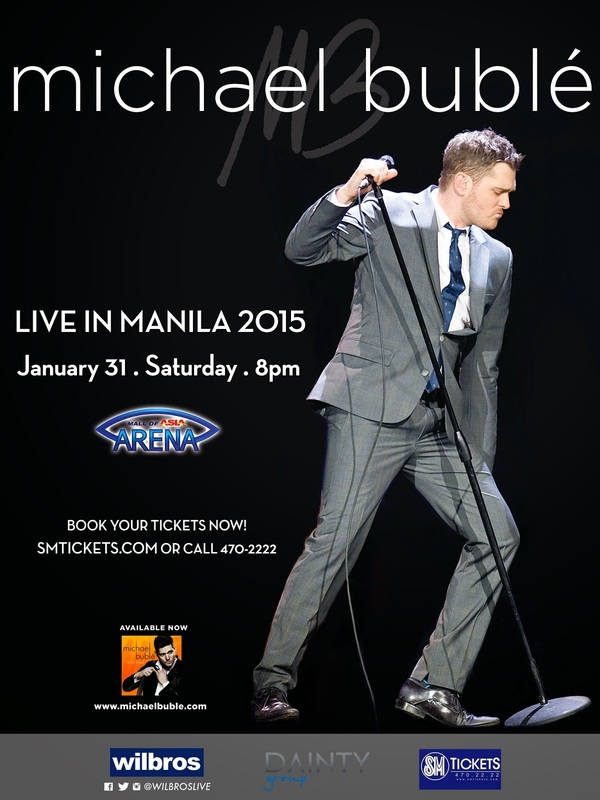 On January 31, Michael Bublé will sweep Manila off its feet. Catch the Canadian crooner at the Mall of Asia Arena, 8 PM, as Wilbros Live in cooperation with Dainty Group and FOX International Channels presents Michael Bublé LIVE in Manila. Tickets available at SM Tickets via smtickets.com or call 470-2222. Special thanks to Warner Music Philippines, ABS CBN, MYX, RX 93.1, Play FM 99.5, Natural 97.9, 103.5 KLite, Mellow 94.7, The Philippine Star, Business World, Business Mirror, HDI Admix Inc, Philstar.com, PEP.PH and Inquirer.net.